Nestled in a calm and quiet neighbourhood just outside of Moraira, this charming modern villa offers maximum comfort across three stunning bedrooms, with glorious views of the leafy landscape and the calming blue of the Mediterranean Sea. Distributed across three storeys, the entrance to the villa indicates how spacious and luxurious it truly is, with external steps running from the parking space to the main entrance to the first-floor. The modern living area within is designed with an open plan, with an interesting layout between the kitchen, dining area and living areas. Two cosy sofas sit in front of the fireplace and satellite TV, perfect for the cooler evenings. On the warmer days, however, you can pull back the large patio doors leading to the terrace and enjoy the warm flood of air throughout the villa! The kitchen is spacious, with plenty of room for meal preparation and a large fridge/freezer. 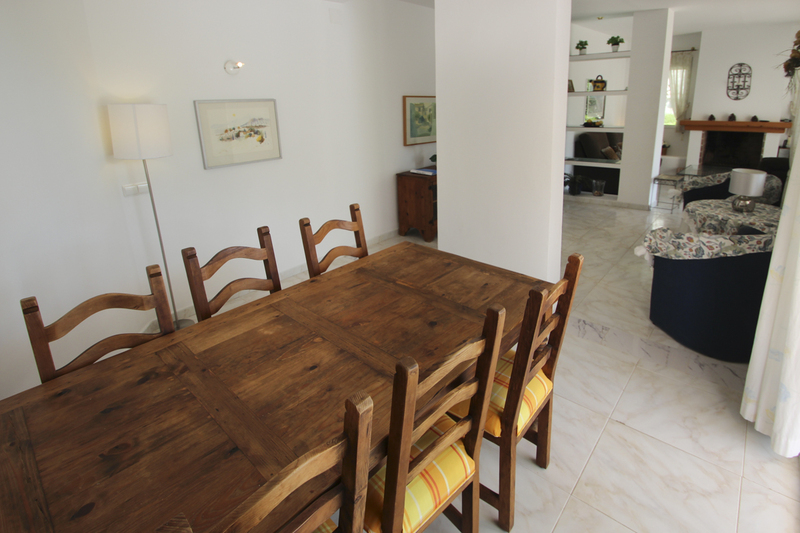 There is also an indoor dining table, with space for up to six. 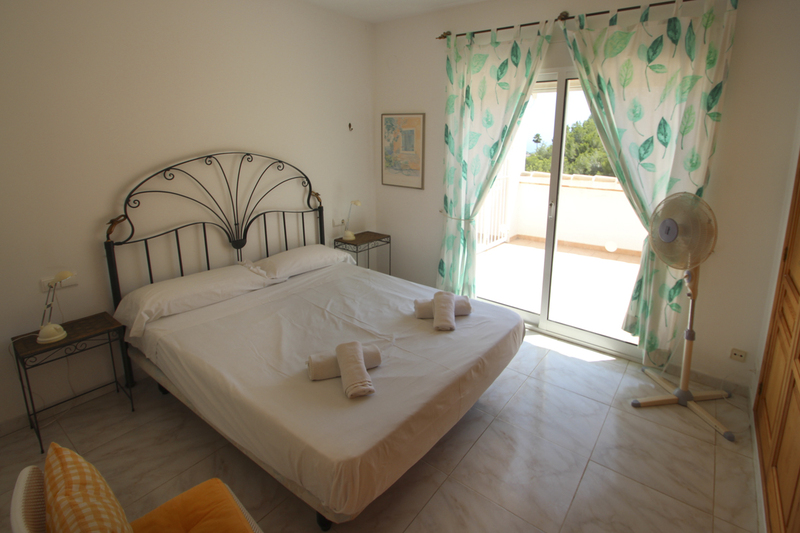 One double and one twin bedroom are located on the first-floor, alongside a full bathroom. 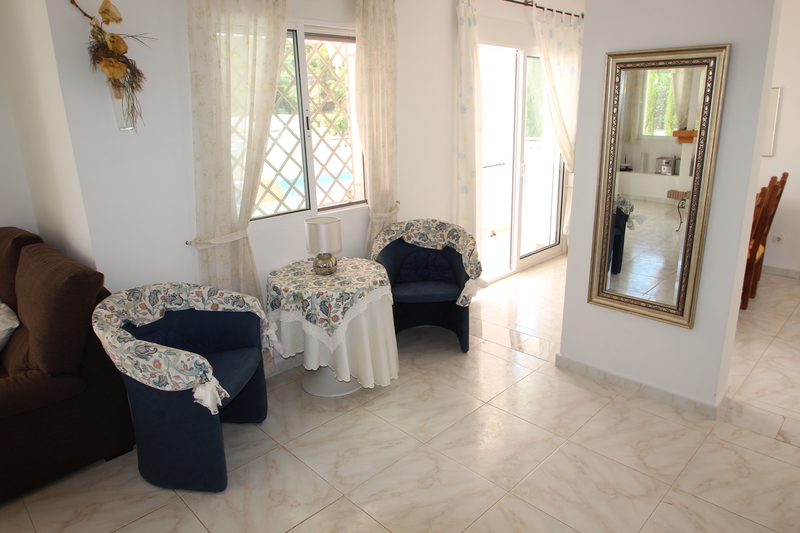 A second double-bedroom is situated on the ground floor. 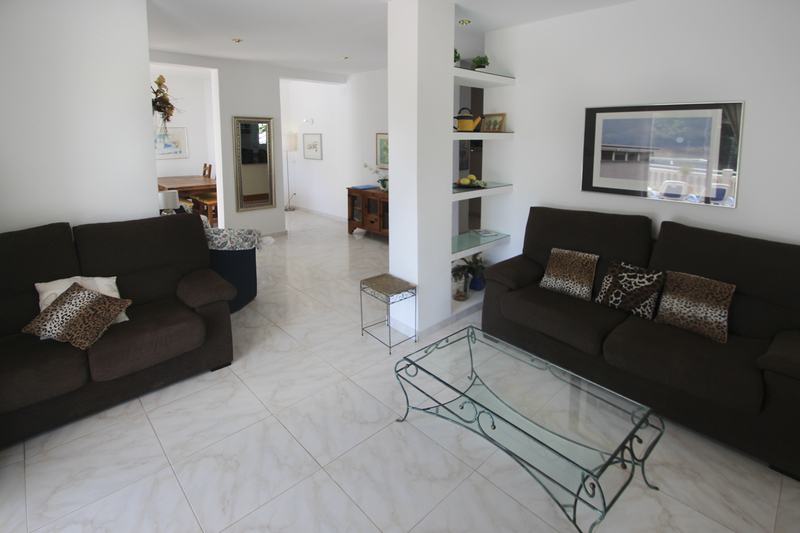 Each of the three bedrooms is bright, spacious and has direct access to a balcony or the main pool patio. All are equipped with fans, and the ground-floor double has A/C and a full ensuite bathroom. The garden is as spacious and delightful as the interior, with a first-floor patio and a ground-floor sun terrace with a brilliant stone dining area and built-in barbeque, as well as a large private pool with a stone step entrance. There are six sun loungers around the pool, the second table with chairs in the shade of the veranda and an outdoor shower. 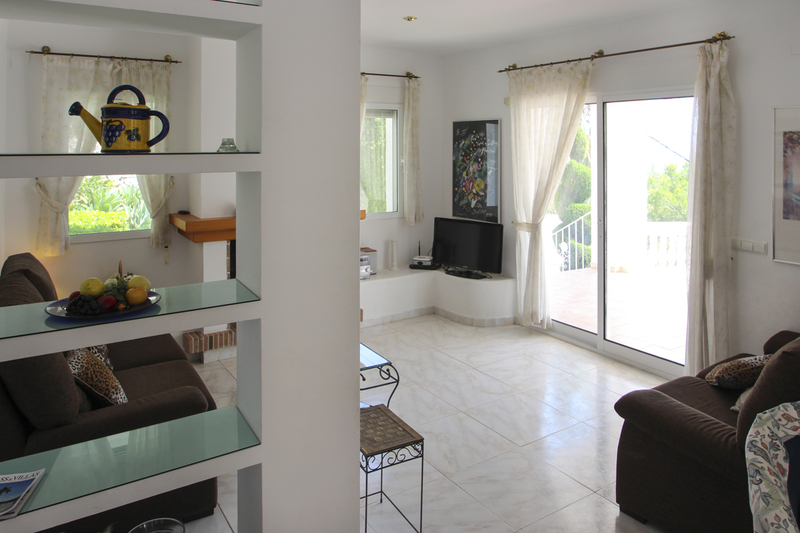 And all of this luxury is the just short drive from the centre of Moraira, with some shops within walking distance.